A leading new exploration of the Windrush generation featuring David Lammy, Lenny Henry, Corinne Bailey Rae, Sharmaine Lovegrove, Hannah Lowe, Jamz Supernova, Natasha Gordon and Rikki Beadle-Blair. For the pioneers of the Windrush generation, Britain was 'the Mother Country'. They made the long journey across the sea, expecting to find a place where they would be be welcomed with open arms; a land in which you were free to build a new life, eight thousand miles away from home. This remarkable book explores the reality of their experiences, and those of their children and grandchildren, through 22 unique real-life stories spanning more than 70 years. 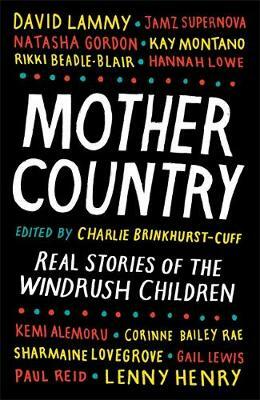 "The story of Windrush, is, like any other, a story of humanity. Of life, love, struggle, hope, misery, success and failure. It's one that is too often neglected in our media ... but this volume acts as a remedy to that failure of story-telling, which I ask you to both savour and share." 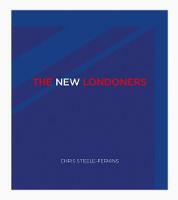 Contributors include: Catherine Ross, Corinne Bailey-Rae, David Lammy, Gail Lewis, Hannah Lowe, Howard Gardner, Jamz Supernova, Kay Montano, Kemi Alemoru, Kimberley McIntosh, Lazare Sylvestre, Lenny Henry, Maria del Pilar Kaladeen, Myrna Simpson, Naomi Oppenheim, Natasha Gordon, Nellie Brown, Paul Reid, Riaz Phillips, Rikki Beadle-Blair, Sharmaine Lovegrove, Sharon Frazer-Carroll. Charlie Brinkhurst-Cuff is an award-winning writer, editor and columnist of Jamaican-Cuban heritage, who focuses on issues surrounding race, feminism, social justice and media. She is the deputy editor of gal-dem, a magazine written and produced exclusively by women of colour and non-binary people of colour aiming to diversify the journalism landscape, and contributes to publications including the Guardian, iPaper and Dazed.